On October 15, 2011, Legoland changed the landscape of Central Florida. One of the first theme parks in the area had closed leaving a gaping hole in the tourism industry. The much beloved Cypress Gardens had laid in disarray for what seemed like forever making it an eyesore while leaving the City of Winter Haven in financial turmoil. Step in Legoland. They bought the park with it’s rides, preserving the actual botanical gardens while legofying the rest. Is that even a word? Legofying? Well, it is now. There are Legos everywhere. On the signs, on the turnstiles, in the bathrooms. 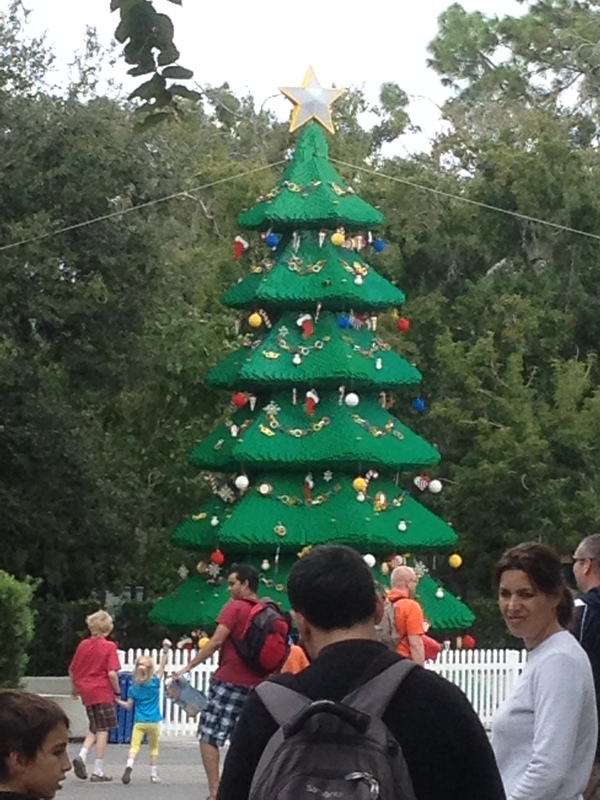 If you have a Lego freak in your family , they will not be disappointed with the amount of Legos used in the parks. There are people made of legos. 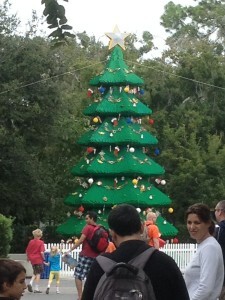 Christmas decorations made out of legos. Castles made out of Legos. There’s even a huge mini city made out of Legos. Seriously impressive. Legos in the sidewalk . Legos in the walls and the water. Legos everywhere! There are many rides in the park. 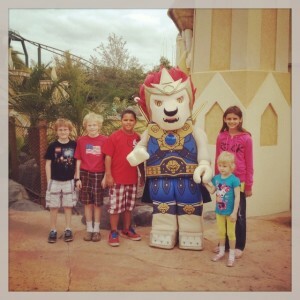 We rode the Chima ride for the first time with this visit. It’s a relatively new part of the park. It’s a water ride so we were trying hard not to get too wet since it was fairly chilly day for Florida at the time. This would be a great ride for when it gets warm. This ride was amazingly fun too. We put the children in one boat while we adults rode in another. You shoot water guns at the bad guys around you but you can also shoot the other boats as well. Plus , the people on the sidewalk can shoot you and you can shoot them as well. Expect to get massively wet on this ride. They do sell ponchos in the gift shop outside if you are so inclined. Even older kids or teenagers would like this ride. Fun indeed. Besides roller coasters, there are several more rides that are fun for all ages. Our most favorites ones are the “schools”, boating, driving, and flying. At each respective school , you learn how to “drive” that designated item. Serious fun for all ages although adults aren’t allowed to drive. One note of caution on the boating school. Be sure the people in the boat are leveled correctly before the boat free floats out. I had to frantically scoot to the middle to keep the boat from capsizing with Madison as the driver since I weigh substantially more than the little skinny thing. After you have hit all the rides , I highly recommend taking time to visit the mini city. It is amazing to say the least. They have gone to great lengths to make sure the mini city is as close to the original as possible. There is the Luxor in Vegas, Kennedy Space Center, Daytona International Speedway and more. Their attention to detail is stupendous. This will be the highlight of the trip for your older children and adults. The littles will love the pirate ship and pressing the buttons to make things move and light up. Be sure to leave enough time to walk through the actual gardens. Their beauty is breath taking as well as a great part of Florida history. There is a massive amount of native flora and fauna here to look at and learn about. This is Florida at its finest. The waterfalls and foliage don’t disappoint the nature enthusiasts. Lego lovers don’t fret. 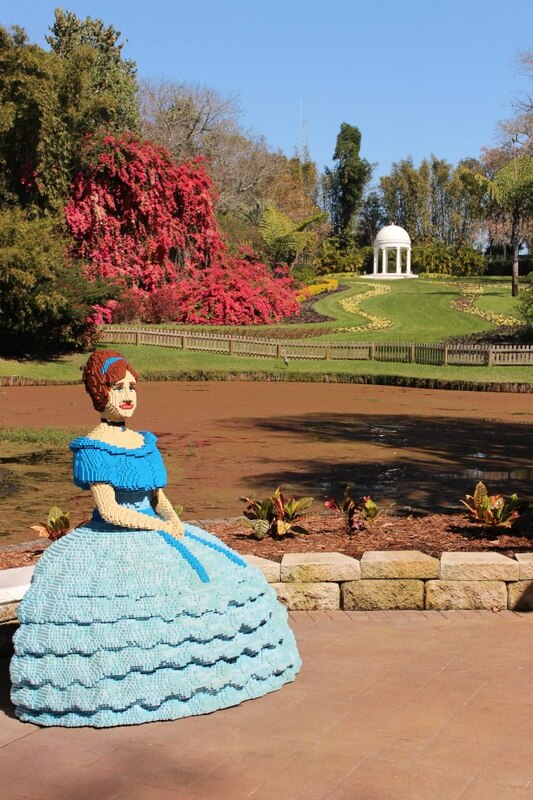 There are Lego Southern belles sitting on benches among other things. 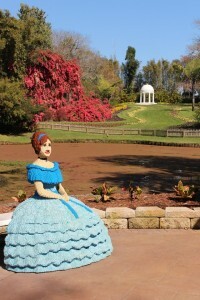 Legoland has done an amazing job restoring and maintaining this Florida treasure. Now to the details. Legoland costs a lot for a one day pass. It’s price is comparable to Disney but the quality is not. The park is much smaller and more relaxed than any Disney park will ever be. It would be a great trip for families with Lego fanatics or children up to age 10 or so. It’s not really geared for older children although there are roller coasters and other rides that will keep them busy for awhile. It won’t be a wasted day on them but it won’t be their favorite day either. There is a water park attached to the park as well. We have not visited that and I believe that entrance to it is an additional charge. It is included in the Florida Resident Annual Pass for $99. This intrigues me as we are so close to the park that it might be worth it to invest in that pass just to access the water parks in the heat of spring summer. 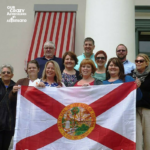 There is another option for cheap tickets if you are a homeschooler in Florida. From now until May 2014, every Monday is Homeschool Day. The price for homeschoolers is $25 per adult and $8 per child under 18. We have always gone at this time so we didn’t need to pay full price. I would only go on these days as I think the price is completely outrageous. I would never pay full price to go to this park. For those with children with special needs, I did contact Legoland about their disability system. They have a pass similar to the old Disney GAC. I did not get one at Guest Services as the lines are usually short for every ride. The park has never been incredibly crowded when we’ve been there. Busy but not Disney crowded. The pass would have been unnecessary for us as Logan doesn’t like any fast rides since he gets motion sick easily. 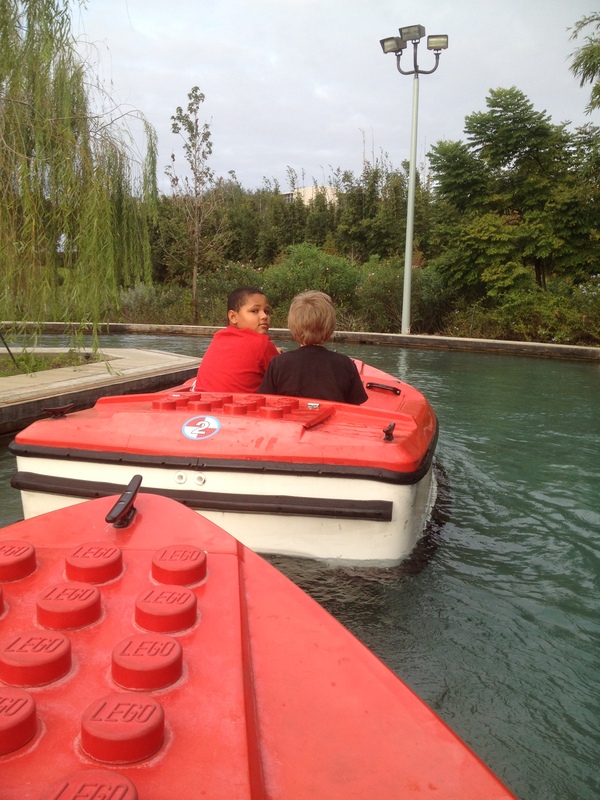 Legoland was really nice answering my questions without hesitation. I would recommend taking your special needs child here for a hassle free nice family day. For that, I would pay full price just for the fond memories. Those days can be few and far between for our families. The memories when they occur are priceless in my opinion. I did not receive any compensation for this post. We went as part of our Florida History studies this academic year. I don’t receive anything if you go other than the hope that my post was helpful to you in some way.